What, Exactly, Did Esther Do? The following is adapted largely based on the words of Rabbi Moshe Grylak in Mishpacha magazine, Rabbi Aaron Cohen of Kol Yeshurun in Passaic, NJ, and others. The connections between Purim and the Holocaust are clear. At two separate times in history, a dictator basing himself on a breed of rationalism that saw survival of the fittest as paramount, sought to destroy the Jews, as the Jews represented the subservience of man to a Creator. Neither was a pogram of a village here or a village there, but mass annihilation. The connections are clear even from the point of view of the Nazis who clearly understood what Purim was. Take, for example, Julius Streicher, one of 10 Nazis hung, who screamed “PurimFest 1946” just before his death. Even further, this corresponded to 5,707th year of the Jewish calendar. In Megillah Esther when the 10 sons are hanged, three letters are written small, since the days of Persia and Media when the Megillah was written – Taf, Shin, and Zayin, corresponding to 5707. So the connection is clear and even predicted in the Megillah, which forms part of the Written Torah, itself. The setup is the same, and the end is the same – the Jews left the service of the Creator and that of the Torah in large numbers. Sure, in Persia, many ate their kosher food at the banquet of the king, but Mordechai told them not to go, and there, on what they thought was the anniversary of the date they should have been redeemed, they saw the holy items from the Temple on display, captured by the Persians who ate, drank, and saw the prophecy of the Jews as being unfulfilled. The Jews were willing participants in this. I’ll refrain from listing the details of the Jews and the Haskala, where Jews also went away from Torah to follow the dictates of the nations around us in large numbers, but suffice to say, both actions are reprehensible for a Jew who has a Torah to follow. In the end, 10 of the evil men get destroyed, and the Jews live to serve our Creator, another day. But the story between the decree of annihilation and triumph is quite different. In Persia and Media, the enemy died. In Nazi Europe, 6 million Jews died. What made the difference? The Megillah tells us a few things: Mordechai was an advisor to the king. Two other advisors, he heard, were plotting to kill the king. He told the king, who promptly had the traitors executed. (See Esther 2:23). Jews, throughout history have often been advisors and doctors to kings. Mordechai’s actions make sense – imagine the Ramban, an advisor to King James I of Aragon hearing of a plot to murder the king. Surely, as a dutiful servant to the king he would make sure it did not happen. 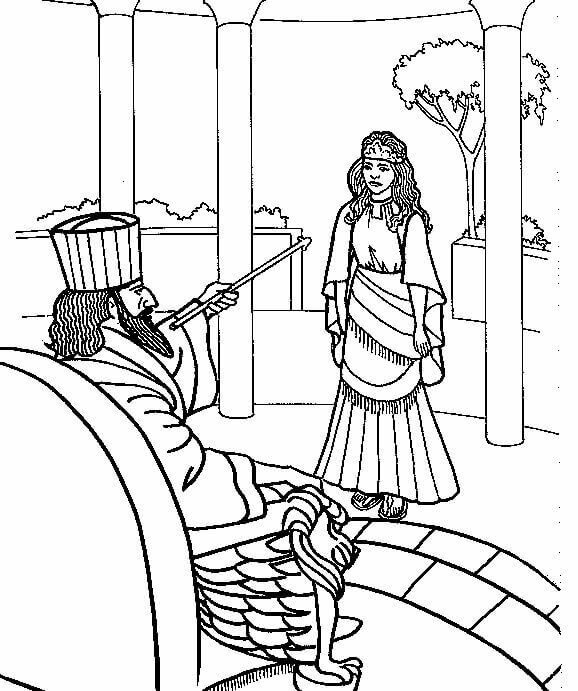 In this case, Mordechai told the king through Esther, who had it taken care of – done. But then Mordechai acts very differently around Haman, the “Hitler” of the story. He refuses to bow to him, refuses to avoid his path so as not to cause a problem in the first place, and refuses to yield whatsoever. Haman was a man who had the power to have gallows built and hang who he wished! (See Esther 6) Why tempt this? As we know, Haman does plot to kill the Jews, based, it appears, solely on Mordechai’s actions! (Esther 3:6) Then, once the decree is made, Mordechai doesn’t contact Esther to beseech the king, as he did when the king’s life was in danger. No – he gets in sackcloth and ashes, and has the majority of the Jewish people do the same. They start praying to the Creator, and Esther has to contact him to find out what’s going on! Why didn’t Mordechai use the regular channels, this time? What is going on? Mordechai provokes the Hitler of his times, and then is luke warm about the resources he has available? Here’s a slight diversion, which is really no diversion at all, to Nazi Germany. By the end of 1939, Germany had taken over all of Poland, Austria, and Czechoslovakia. By the end of 1940, they had taken over Denmark, Norway, France, Belgium, Luxembourg and the Netherlands. (Source.) What were notable exceptions? Grodno – June 1941. Vilna – June, 1941. Barnovitch – June, 1941. In fact, these were cities where Jews from other areas fled to for safety, until they too were taken over. It is said that R’ Chaim Ozer Grodzinski, who preserved and brought other yeshivas to Vilna protected the “free state of Vilna” which was otherwise surrounded by Nazi territory, until his death – August 1940. Similarly, R’ Shimon Shkop lived in the free city of Grodno until his death – October 22, 1939. So too, R’ Baruch Ber Leibowitz, who died on November 17, 1939 never saw Nazi occupation of Barnovitch (though he fled to Vilna, where it was safer, thanks to the presence of R’ Grodzinski). Even further, it is said that the Chazon Ish, who moved to Israel in 1933, was exceedingly upset when he found out after the war that his family hid the Holocaust from him. He allegedly cried out something like, “Had I known, I would not have let it happen!” Wow. A tzaddik has the power, not only to save his own city, but to save everyone? Could it be? So, it seems, after waiting a very good part of the entire story (from chapter 3 to 7 . . . of 10!) that Esther really didn’t do all that much. Why is it called Megillas Esther, anyway? It’s kind of like calling it “Alice’s Restaurant” in a 20-something minute song about a Vietnam War protest. Everything “happened” well before Esther even approached the king, which she had to do out of the need to interact with the world, but this is after the Jewish people fasted for three days, after Mordechai wore sackcloth and ashes in public along with the Jews, and after Mordechai provoked Haman. It seems, Mordechai, who was the leader of his generation, much as the Chazon Ish was of this past generation, knew what he was doing. Never was he fazed that the Jews would be annihilated. He had total trust that everyone would be saved, even if he did not know how, and even if it looked really, really bad in the middle. Remember, he says “For if you altogether hold your peace at this time, then will relief and deliverance arise to the Jews from another place” (4:14) and even provoked Haman before this, perhaps to arouse the Jewish people to do teshuvah (return to service of the Creator). It worked. After all the prayer and connection to the Creator through chapters 4, 5, 6, and 7, the king, not Ahasverus, but the Creator and real king, was appeased. The human king was a puppet in his hands who melted alongside events unfolding around him, changing his direction from that of Haman to the Jews. Talking to the human king was a necessary step to the work that needed to be done, but would only be effective when the real King was appeased. The last verse of the Megillah tells us, “For Mordecai the Jew was next unto king Ahasuerus, and great among the Jews, and accepted of the multitude of his brethren; seeking the good of his people and speaking peace to all his seed.” (10:3). So why didn’t it work in the time of the Holocaust? Simply because the greatest of the generation, after R’Grodinski died, wasn’t informed? Because the provoking of those who hate us wasn’t for the right reasons? Because no one had the proper bitachon, trust in the Creator? Because it will too little too late and too many Jews couldn’t be reached? I can’t say to know, and discussing these topics is still quite political, so I will leave it at this, but it is something to consider. Since we trust and know as Jews that everything comes from above and is directed as such, as is the whole point of Purim, then we also know that the Holocaust is no different. We don’t have a megillah to put it together, but there are countless stories of proper bitachon saving the individual with one story seemingly more unrealistic than the next. Perhaps we can go do far as to say that the proper bitachon of one person, effecting the multitudes, could save everyone. Do we trust to this extent? Then it is so. If we do not, then it is not so. Posted on Facebook. Will read again, very interesting article. Have similar thoughts; the presence/exercise or lack of emuna and bitachon, can make the difference between life and death. Do you have a mailing list? If so, can you put me on it? Thanks, and Happy Purim to you! Yes – click on ‘subscribe’ in the menu bar. Thanks for your comments. I’m beginning to understand that phrase in the gemora that the only thing in our hands is our fear of heaven.